This is an Apex Legends FPS Settings Guide, we walk you through what video settings you should adjust and even turn off for better fps in game. 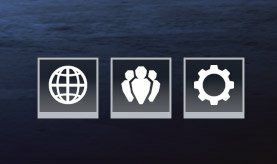 We also have included an image for those who just want to quickly change your video settings and see how much more fps you get. This apex legends better FPS Settings Guide will walk you through the settings you can turn down to increase your FPS in game. Typically you will want to have you Display Mode: set to Fullscreen, however, in this image I have main set to Borderless Window as I did NOT notice any FPS drop. Field of View – (110) If there is any setting you are going to turn up it will be this one, however, keep in mind this will lower your overall FPS. We suggest coming back to this setting when you have turned everything else down. 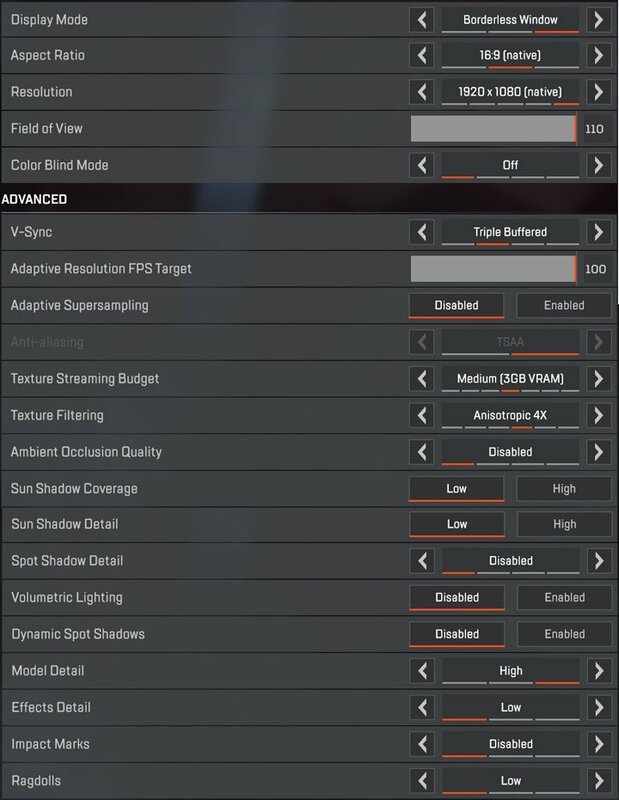 Most of the Advanced Video Setting in Apex Legends you will want to turn to Low or Disabled, with the exception of Effect and Model Details. These two Settings can be set to Low or High depending on how good your computer is.